It's been a while since we last released any changes to our little website as we were diverted to something else for a while. That's not to say we haven't also been busying away with your favourite 5-a-side organiser! So what's changed this time in this version? It's been a long time coming, but we've finally added better integration for social networking websites. 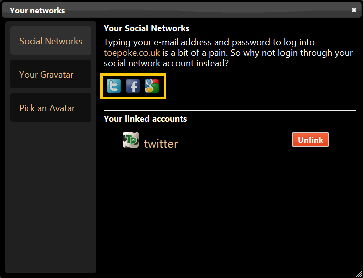 If you have a twitter, facebook or google account you may find it easier to login using your social account. Simply visit the new Social Network tab in Your Profile and click the Change accounts button at the bottom. From the resulting dialog you can link your social network account, and change your avatar (or pick one of ours ). Reworked the icons on screens to make them a bit cleaner, plus a slight increase in performance due to the way the icons are loaded. Bit of a tidy up on the FAQ and the glossary pages. Bit of re-wording on the home page too. We've overhauled the process for inviting your mates to join your games as there have been problems with this in the past. From now we're using a simple invitation code. Anyone wishing to join your game will still require authorisation by game managers. You can also post to twitter and facebook through the Squad Invitation screen (click on the Invite someone to join your squad from the new Squad dashboard). We've also made the improvements to the game timeline screen. It's now much easier to see the relationship between all your reminders, and how they work together. Hopefully this is a little more intuitive. 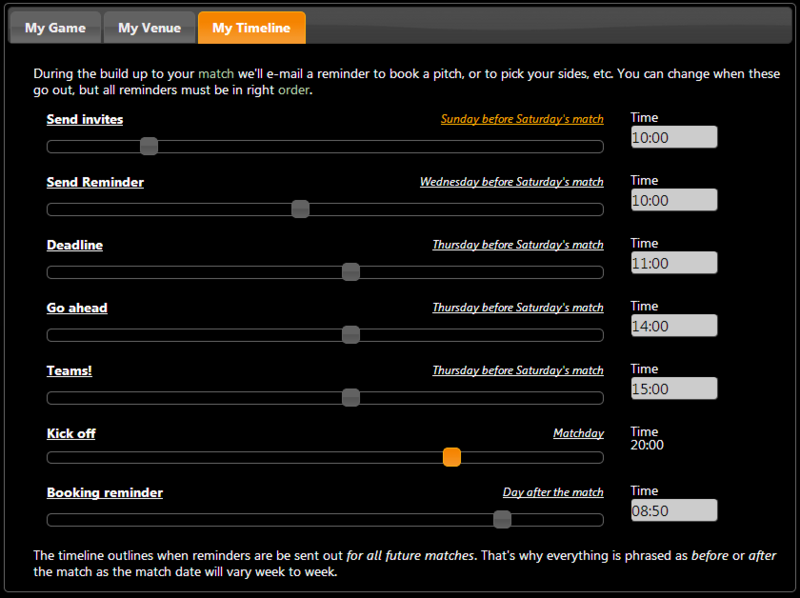 The match dashboard has also had a bit of makeover. We've always felt this does a good job at showing quite a lot of information, however it was possible to get a little lost with which match was which. This is particularly true if you play a couple of times a week. 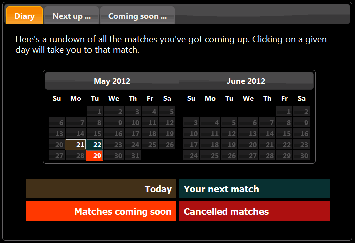 To help, we've added a diary on the dashboard so you can see at a glance all the matches you have coming up. Not available on mobile devices, sorry. Another in the small but useful changes pot is we've added a new menu link to your squads. Average age of a team now shows to just two decimal places, rather than the massive number is was showing. 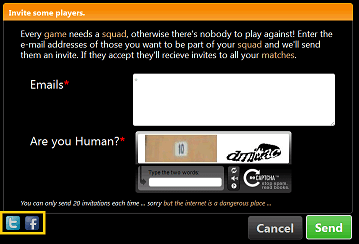 As outlined, we've changed how the invitation system works as there have been problems with this in the past. From now we're using a simple invitation code. Anyone wishing to join your game will still require authorisation by game managers. There was a problem with the Your Profile screen which resulted in changes to the Updates? and Other parties? flags not saving correctly. As a safety precaution we've made everyone's flags to Off as we can't be certain if anyone has turned these flags On or Off. A whole bunch of other small stuff we won't bore you with .